Architecture firm BIG has revised its proposal for a new baseball stadium in Oakland, California, into a "more circular shape" with a gently sloped park on top. 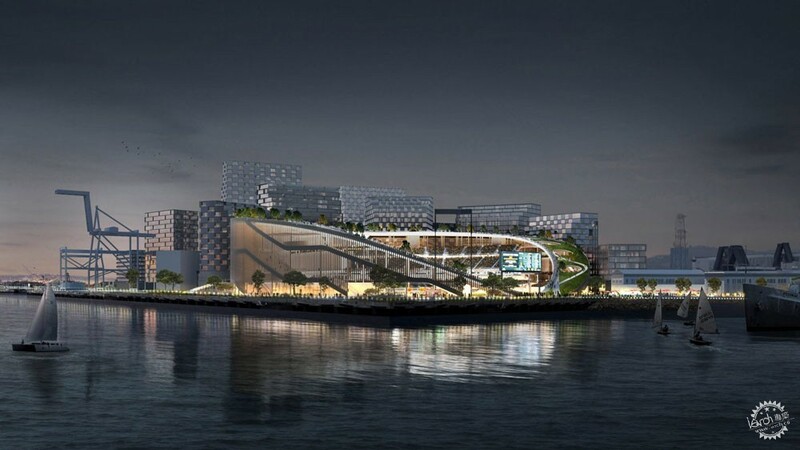 The updates come just months after the firm first revealed its plans for the new home of the Oakland Athletics Major League Baseball (MLB) team – also known as the Oakland A's – at the city's harbourside Howard Terminal. 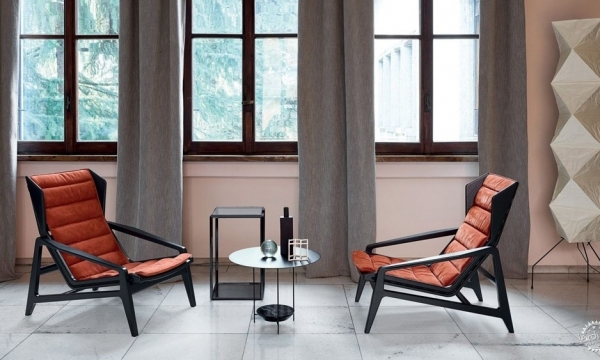 Among the main revisions to BIG's original design is the layout of the stadium seating for 27,000, which has been adapted from an angular formation into a rounded shape. 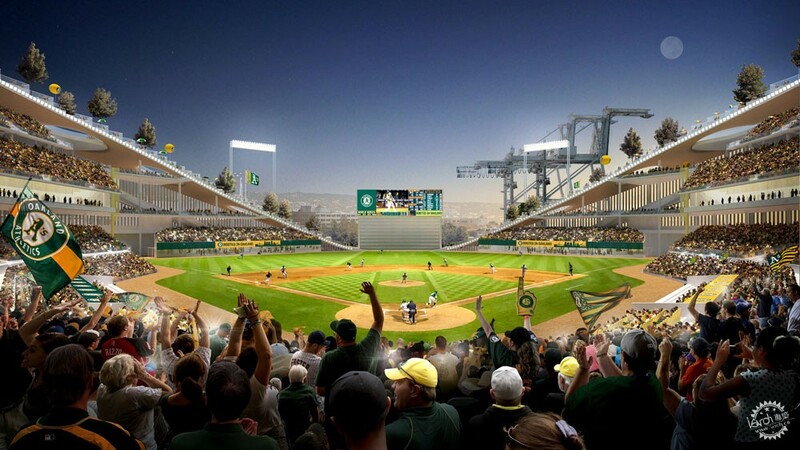 "One key update to our design: a more circular shape," said a statement from The A's. The team added that the revised shape would offer a number of "benefits over the initial concepts". These include a "more seamless, efficient, and fluid access to the ballpark from the surrounding neighbourhood", as well as "better ability to capture fan-energy inside the ballpark for a more exciting and intimate experience". Helping to offer a better view of the waterfront beyond, the grassy park on the roof has also been redesigned. Complete with trees and a winding pathway, the elevated park was intended to provide standing space for 10,000 additional fans, and meet the ground at the waterfront. While still featured in the new renderings, the roof is much more gently sloped and the rounded coves on top no longer appear. Exterior cladding is also different from the original scheme, released in November 2018. The new structure is shown to be wrapped in thousands of vertical strips, as opposed to large portions of square windows as originally planned, making the interior of the ballpark now more covered and private. BIG, which has also designed sports complexes for Austin and Washington DC, was enlisted to design the new MLB stadium for an underused urban industrial site that the city hopes to redevelop onto a sustainable development. 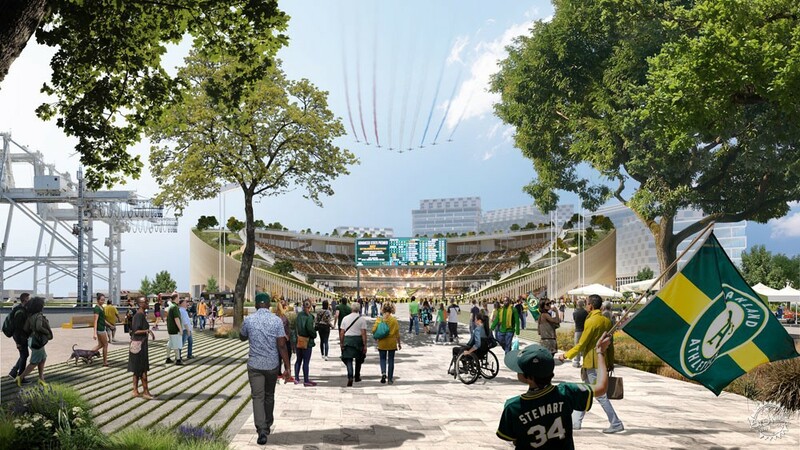 "One of our top priorities is ensuring that the project creates broader economic, environmental, and community benefits for the people of Oakland," said Oakland A's president Dave Kaval. 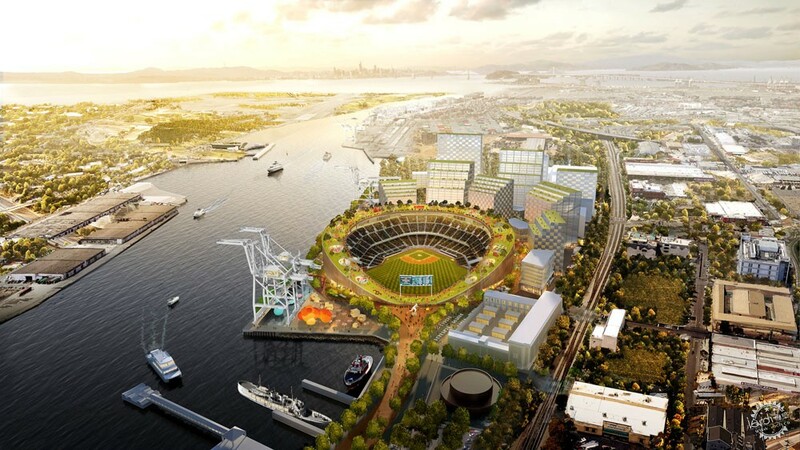 "We increasingly see that our ballpark project can be an essential catalyst to addressing longstanding environmental issues at the Port and in West Oakland," Kaval said. In addition to a new ballpark, BIG's complex will also provide restaurants, retail, small business spaces and open spaces. The studio also proposed a new gondola system for fans to access the stadium from the city centre. Along with the new circular design of the stadium, BIG has also adapted the shapes of the proposed surrounding structures. Previously triangular with slanted roofs, these are now shown as rectangular volumes with stepped roofs. The studio is also planning a redevelopment of the existing Oakland–Alameda County Coliseum, a 20-minute drive south of the new stadium site, where The A's currently play. Changes there will include new sports areas, and residential and educational developments.